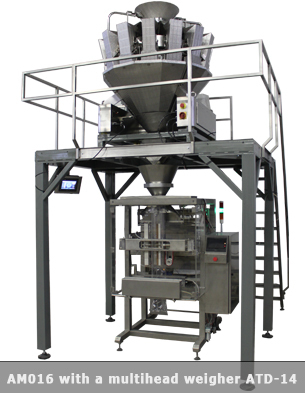 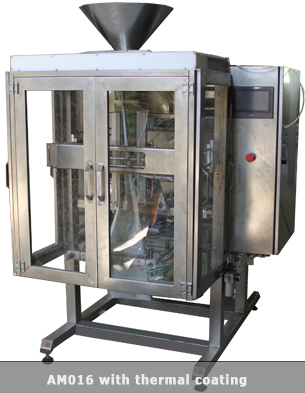 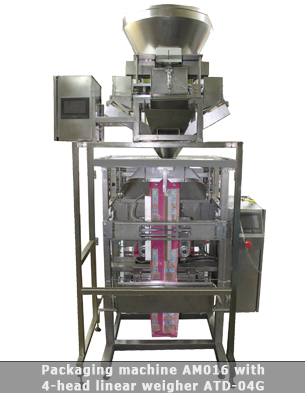 The vertical packaging machine AM018 is used for the forming, filling and sealing of plastic bags. 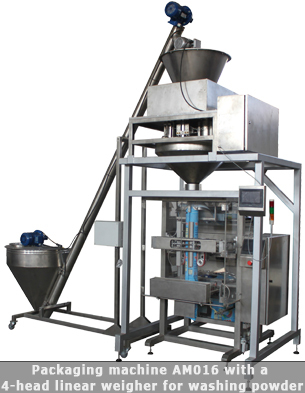 More information related to the working method and overall characteristics of the vertical packaging machine could be found click. 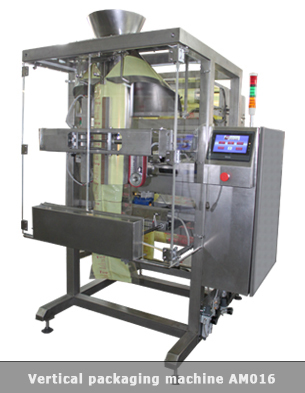 Packaging material Thermo-sealable film like PP-PP, PP-PE, PA-PE, PE-PET and other.